The latest LEGO Dimensions trailer introduces the crime-stopping trio, Blossom, Bubbles and Buttercup, as they lend their dynamic powers to the game in LEGO form for the upcoming Team and Fun Packs. With these new packs, players will be able to build the sugar-coated, Chemical X superheroes and launch them into the LEGO Dimensions Multiverse to save the day. In the game, players can fly around and use ultra-super powers to fight crime and battle the forces of evil, visit the exclusive Adventure World to unlock iconic locations like Pokey Oaks elementary, Rainbow Land, and Professor Utonium’s lab, and also go head-to-head in the Battle Arena for endless fun! 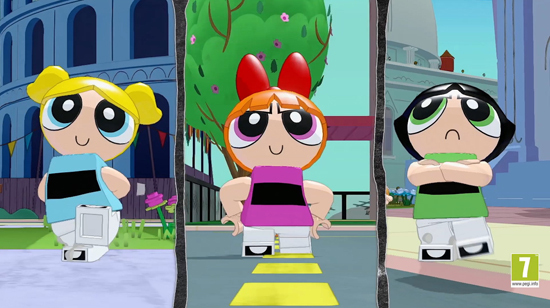 The LEGO Dimensions Powerpuff Girls Team Pack and Fun Pack will be available on 15th September 2017, along with the Teen Titans Go! Team Pack and Fun Pack, and the Beetlejuice Fun Pack.